Congratulations to Dr. Jim Fredrickson and Dr. Allan Konopka, Pacific Northwest National Laboratory, who recently accepted invitations to join the advisory board of The ISME Journal for a 3-year term. As members of this international board, Fredrickson and Konopka will help define the journal's scope and provide scientific input. Fredrickson is recognized internationally for leading research programs investigating the microbial ecology and biogeochemistry of geologically diverse subsurface environments. 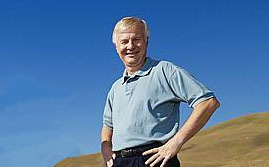 He is a Laboratory Fellow and Senior Chief Scientist at PNNL and was recently elected to the ISME's board of directors. Konopka, an internationally known microbial ecologist, is a Laboratory Fellow at PNNL. 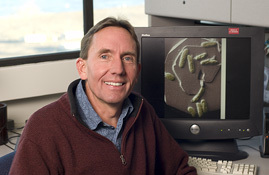 He heads PNNL's Microbiology Group and is leading efforts on analysis of microbial communities and the development of novel technologies to develop a mechanistic understanding of microbial community ecology. The ISME Journal is the official journal of the International Society for Microbial Ecology. It publishes research and reviews in the rapidly expanding area of microbial ecology. The journal is a member of the Nature family of journals and has an impact factor of 6.379 in only its second full year.